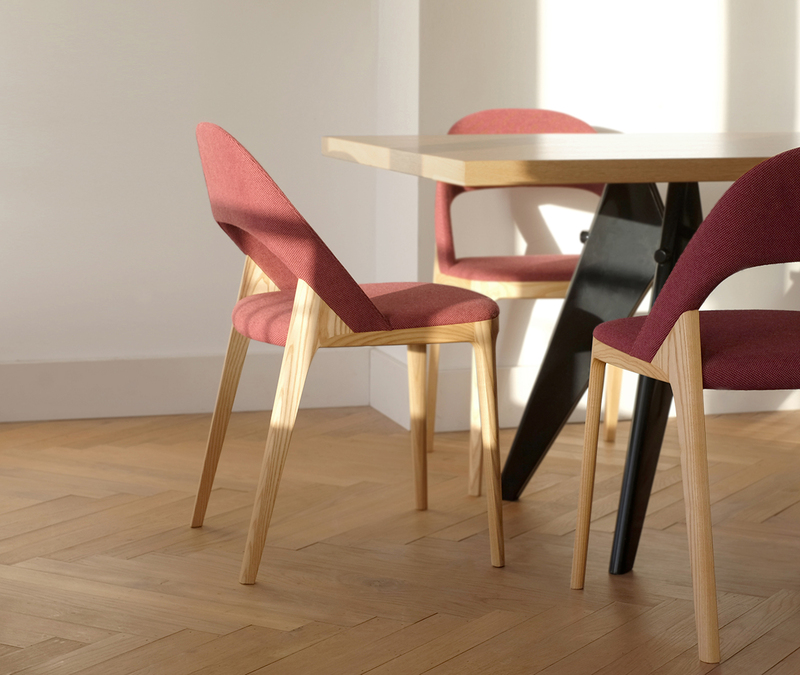 The design of the Clamp Chair was driven by the idea to create comfortable yet light furniture, that emphasizes the beauty of the wood material and modern craftsmanship. 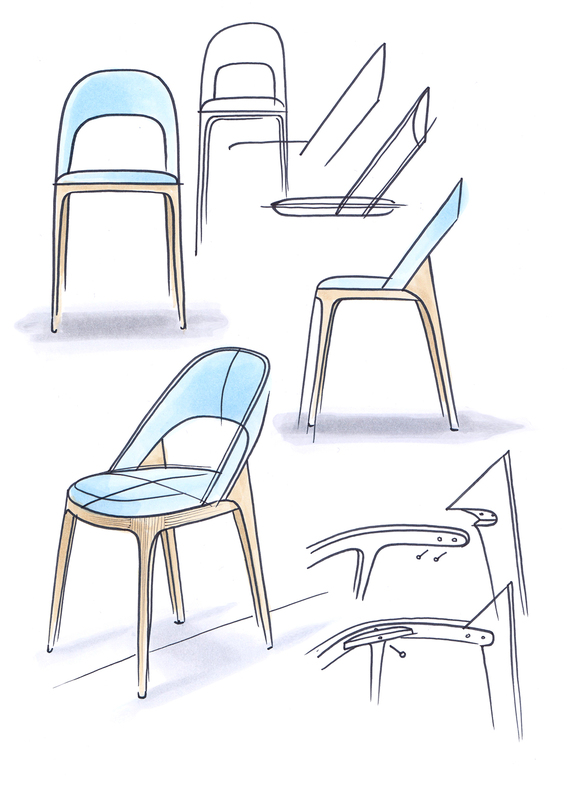 Its appearance is characterized through the seamless transitions between all parts. 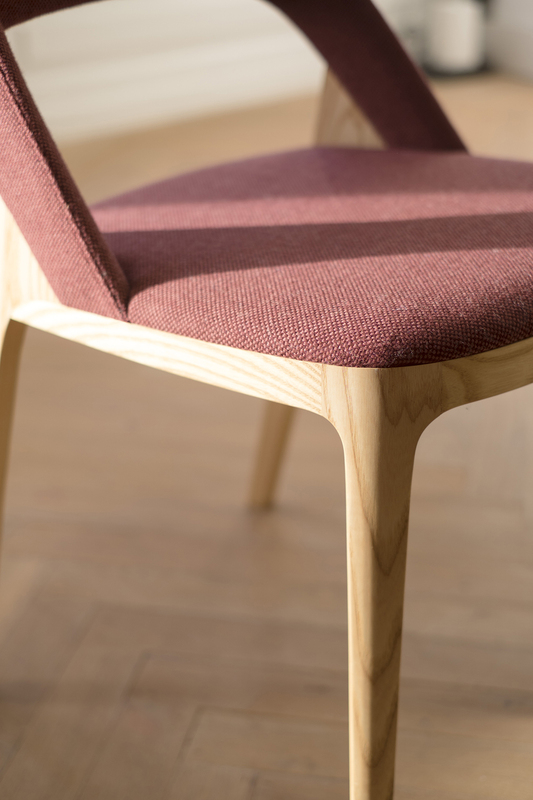 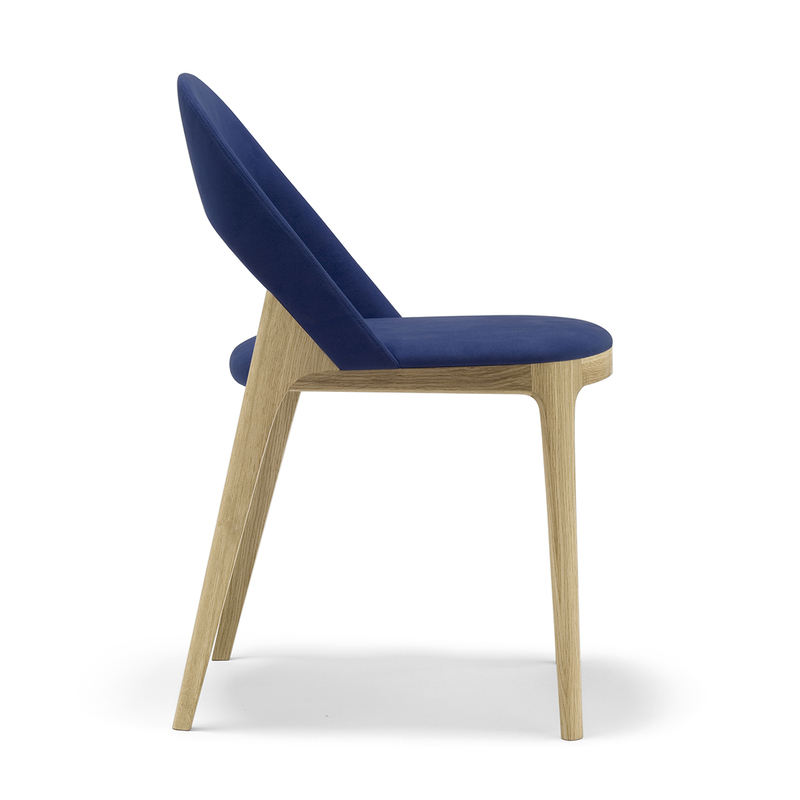 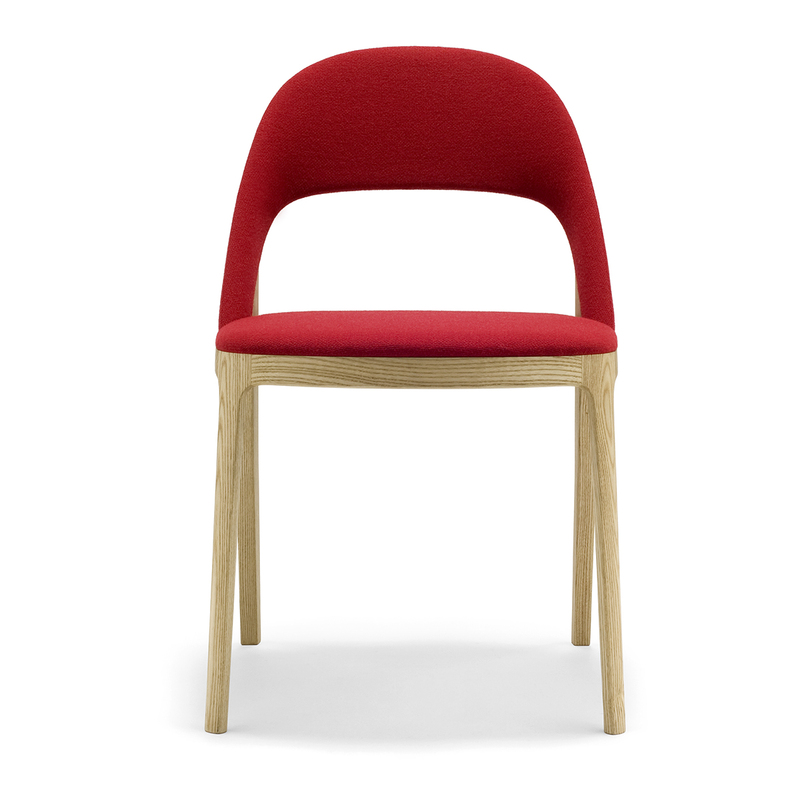 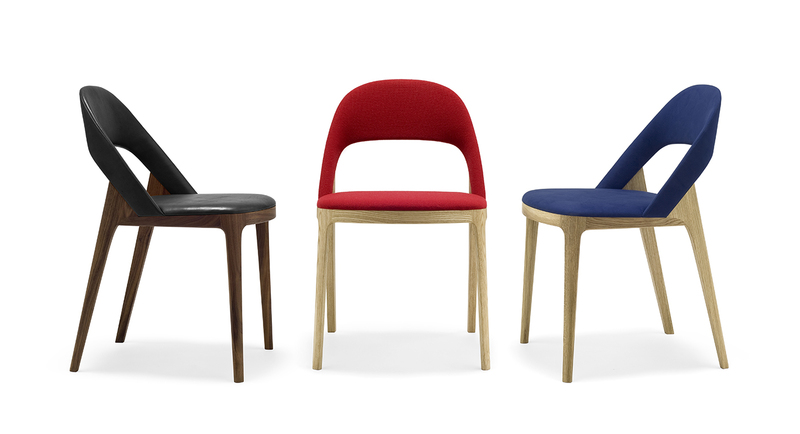 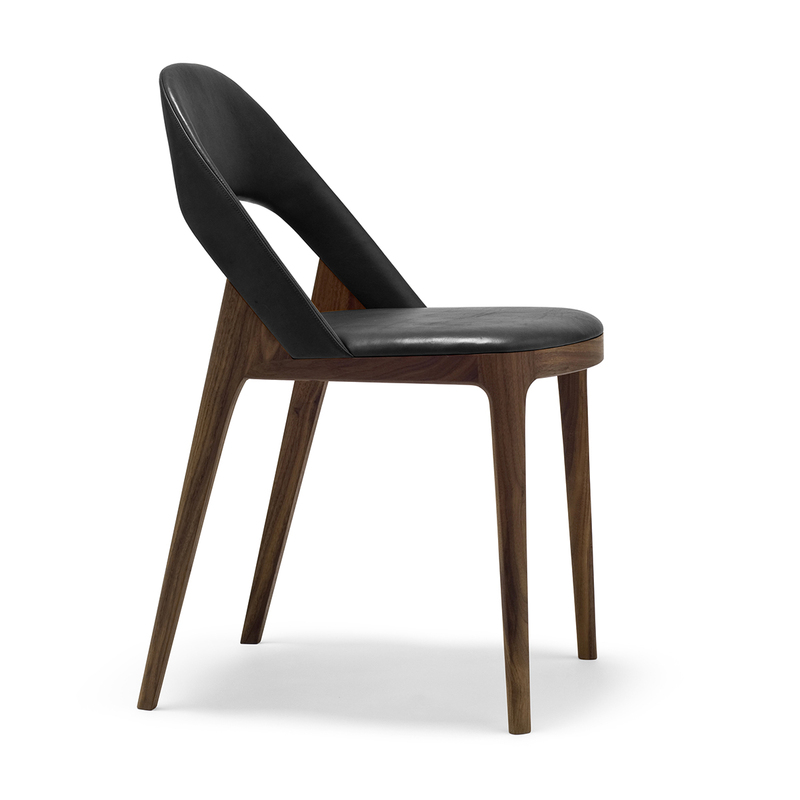 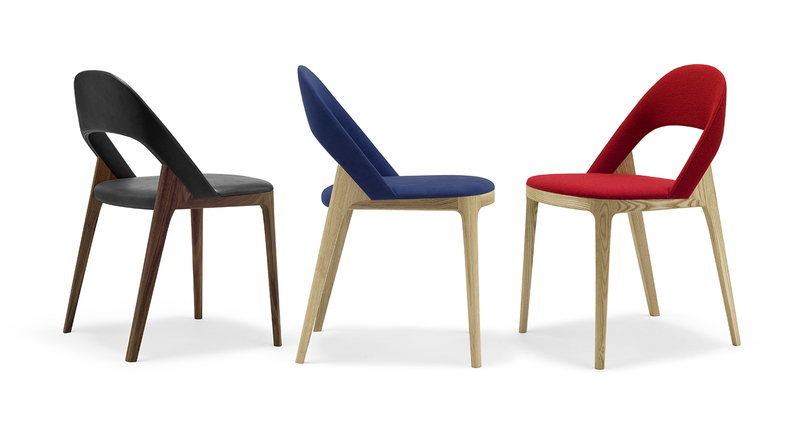 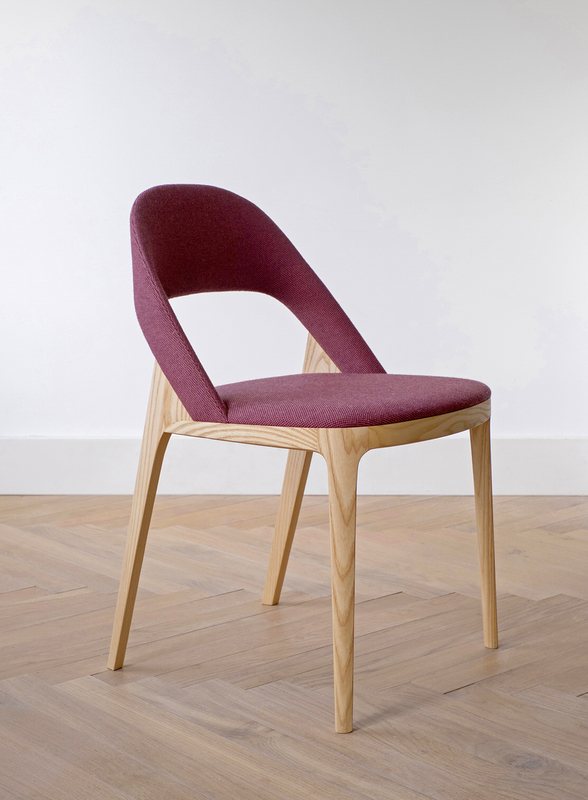 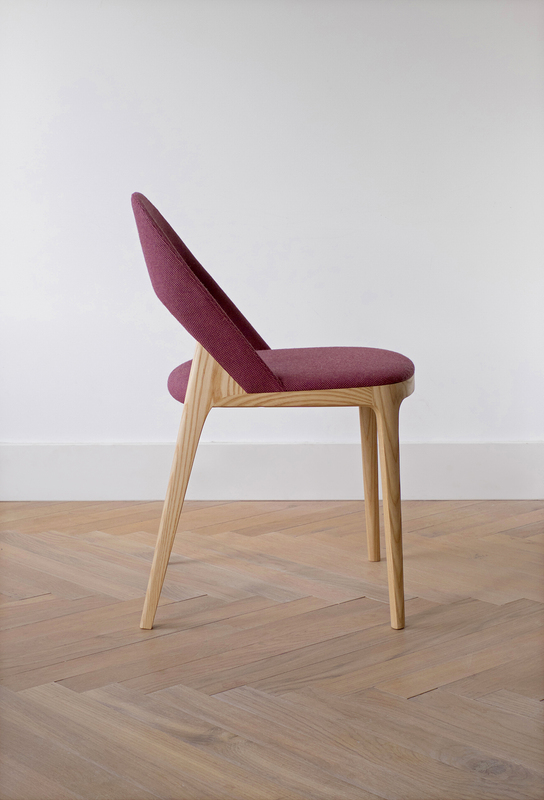 The upholstered seat and backrest are supported by a very slim wooden frame which comes either in ash, oak or walnut wood. 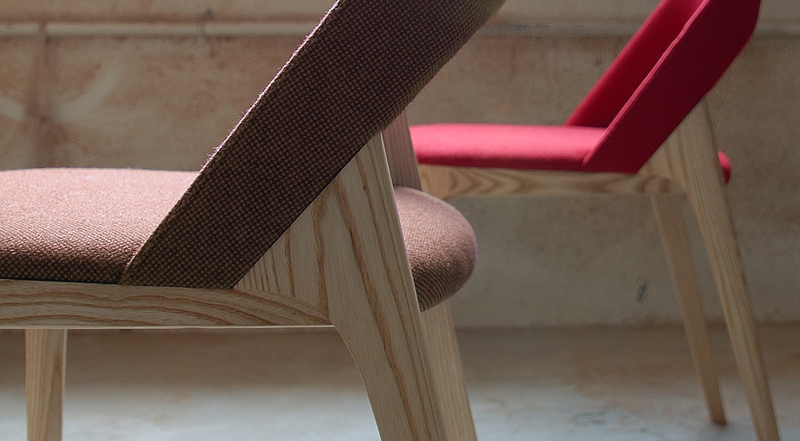 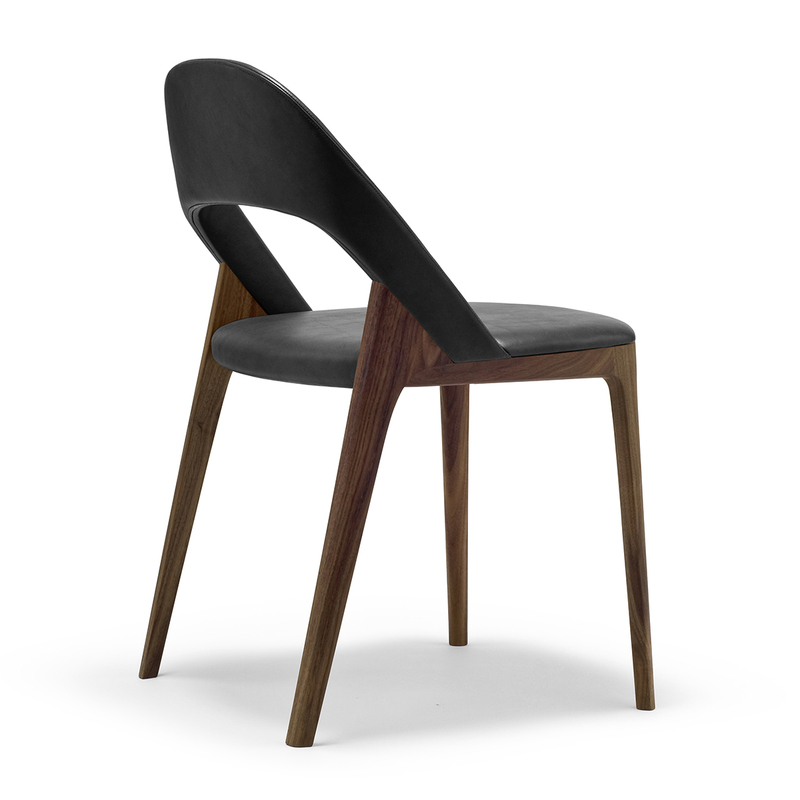 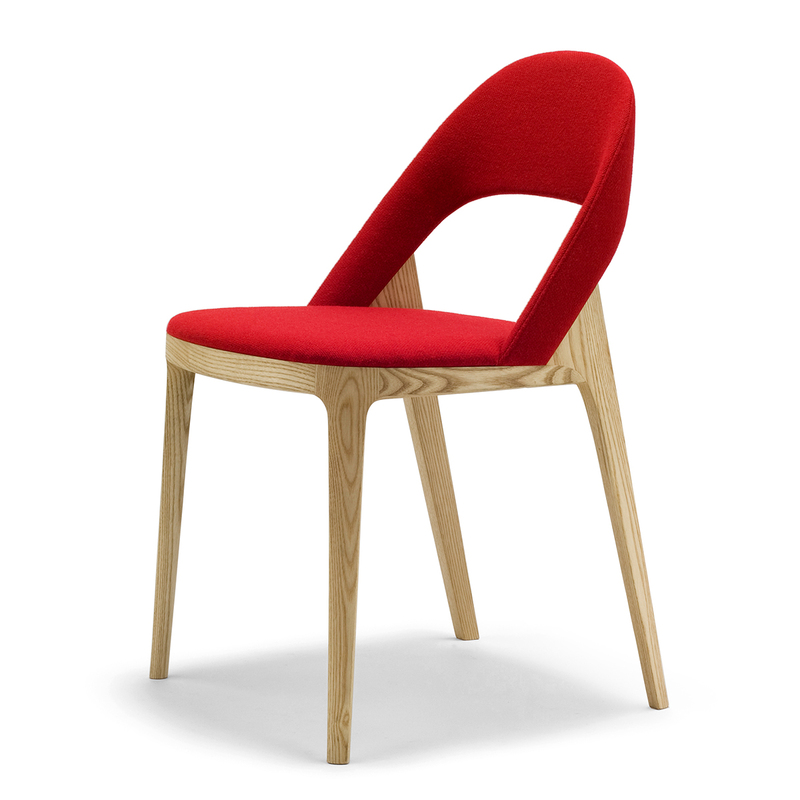 The chair is manufactured with a combination of traditional handcraft and sophisticated CNC machinery. 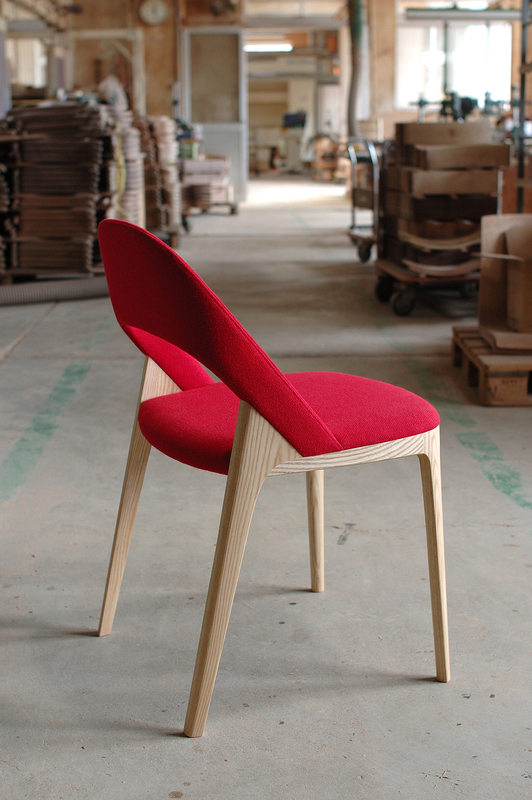 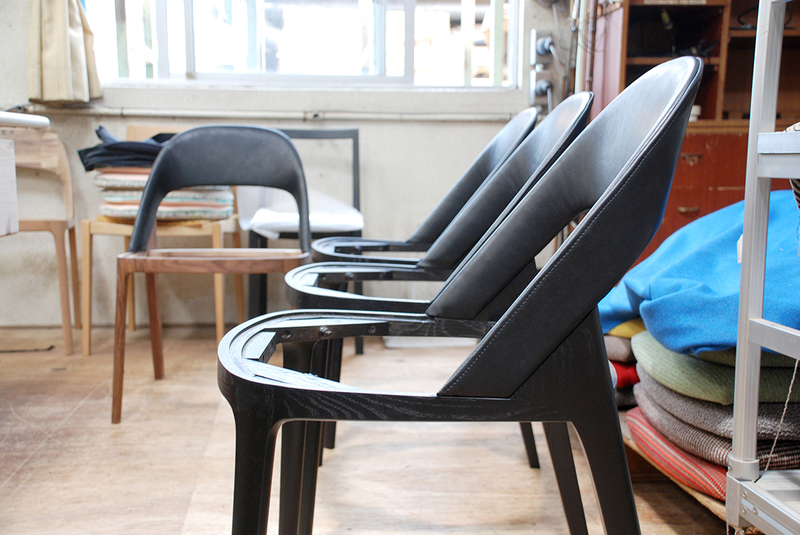 Each chair is assembled by hand and the carefully selected wood is finished with 100% natural beeswax oil.